Although most of the videogame playing/book reading/movie watching public is undergoing a certain bout of zombie-fatigue at present, I’m still firmly under the impression that – with a strong new take on the subject matter, or just good execution – the “zombie” can still be interesting. This theory has been somewhat legitimized by exciting new takes on the genre like The Walking Dead Game, Organ Trail, or the more recent State of Decay. How to Survive is another relatively fresh take on the zombie genre; swapping out heavy action (for the most part) in favour of an almost routine-like adherence to zombie survival rules. In many ways, How to Survive feels like an homage to the cult movie Zombieland, with all the highs and lows that might come with that. 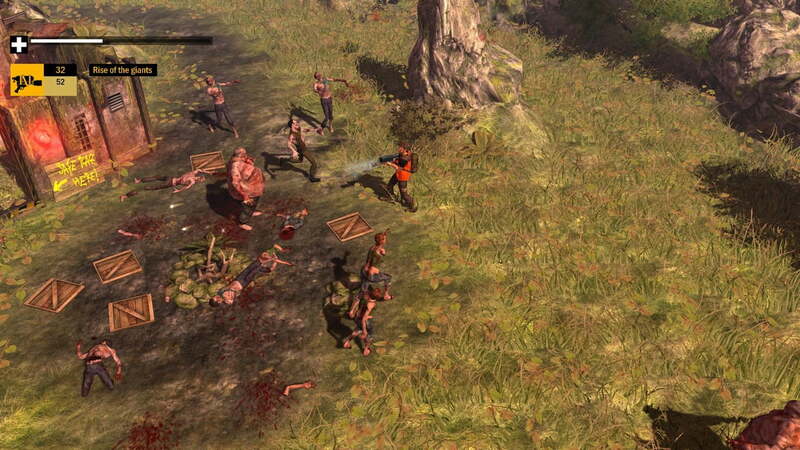 At the outset of the game, How to Survive is pretty by-the-numbers. You can choose between three playable characters with marginally different stats; the powerhouse character, the accurate character and the relative all-rounder. This character then regains consciousness on an island infested with zombies; you know the drill. A few immediate details, however, manage to set the game apart from its contemporaries. For starters, How to Survive is effectively an isometric, twin-stick shooter, wherein the player aims and swings with the right analogue stick, and uses the left analogue stick to control their characters movements. This set up gives the game an arcade-y feel that’s pretty fresh to the genre, and lends itself well to cramped, intense zombie horde fights, as well as more calculated, tactical approaches. Although the aiming isn’t always perfect (aiming for specific enemies within a large horde is near impossible), and the analogue aim can sometimes stick in place (making the player move excruciatingly slowly), the game controls well to the point where How to Survive’s tense combat could just about hold up a game on its own. Where the game really shines is in its deep, yet surprisingly streamlined crafting and survival mechanics. To survive on the island, one must keep their health, hunger, thirst and sleep meters up. This can be challenging, given that food is scarce, water wells are often surrounded by zombies, and safe houses for sleeping in are few and far between. These mechanics, while simple, keep the player constantly thinking and making choices that affect the way they approach situations. I constantly found myself asking: “Should I fill up my empty bottles and jerry cans with water or fuel?”, or “Should I sleep now to avoid the night (wherein more powerful, torch fearing zombies emerge) or stick it out with a soda and make it to my destination”. These conundrums become even greater when the game’s crafting system is taken into account. Throughout the campaign, random objects can be picked up and mixed with other objects to create new ones. This could be something as simple as sharpening wooden sticks with a machete to make arrows, to something as complex as crafting an entire gun or chainsaw. 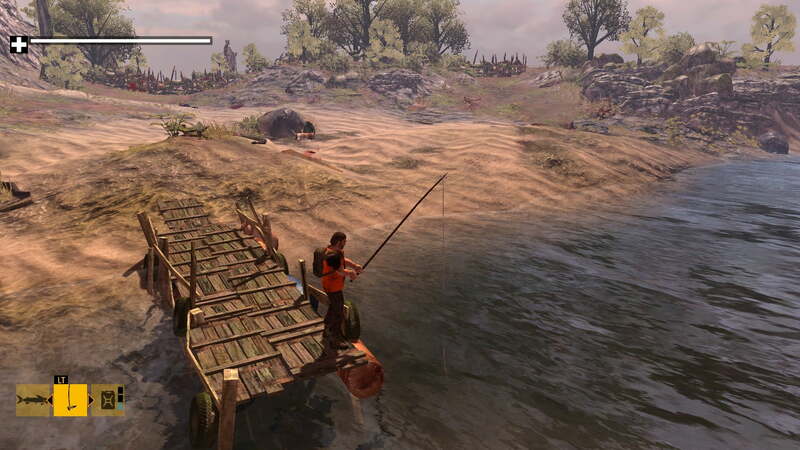 Similarly to State of Decay, this created a lot of issues for the player to consider regarding resource conservation, inventory management and item usefulness. The sheer variety and imagination behind some of the available items is also fantastic (think Dead Island, only good); bone carved boomerangs and “attractive Molotov cocktails” (Molotov cocktails with meat attached) among my personal favourites. Aesthetically, How to Survive is serviceable, if unimpressive, and the same can be said for its oddly harsh industrial soundtrack and relatively bland character/zombie designs (fat one blows up, big one charges at you etc). There isn’t an awful lot going on in the narrative department that couldn’t be found in any other zombie-island fare, but thankfully there’s more than enough strength within the game’s core gameplay mechanics to ensure that these minor pitfalls don’t drag How to Survive the dirt. 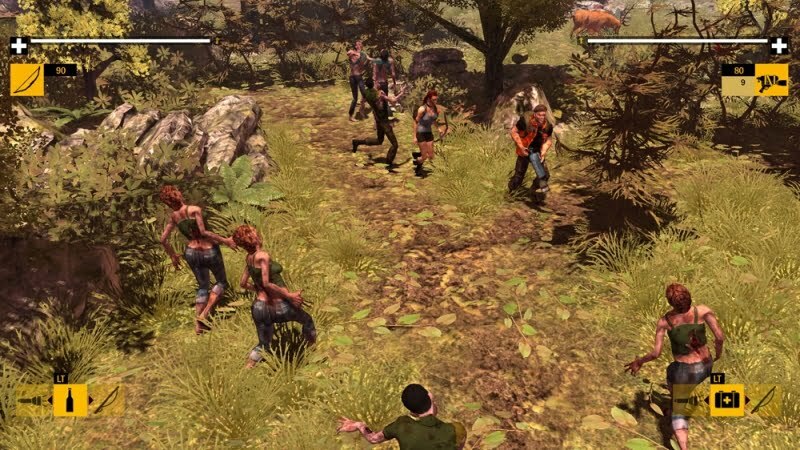 What the game borrows most heavily from the aforementioned Zombieland is its almost (literal) textbook-like approach to zombie fighting rules. Throughout the campaign, the player can find pages from a survival guide left by a welding mask-clad Russian man named Kovac. These rules demonstrate basic gameplay tips with a wit and sense of humour reminiscent of Jesse Eisenberg’s rules in the 2009 film. As well as the game’s relatively meaty campaign, there is a challenge mode on offer for experienced survivalists. In challenge mode, the player is placed at the start of a random map with an empty backpack, and must make it to the plane at the end of the map. 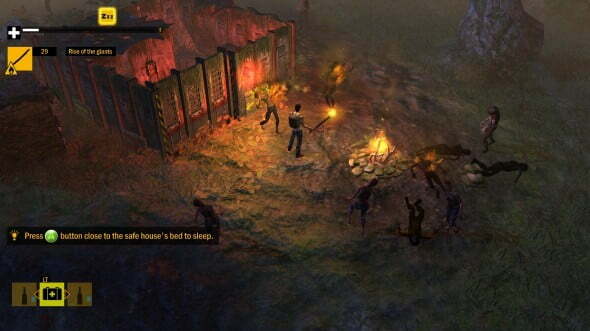 The quirk is that there are player-chosen stipulations present in-game, such as “More dead animals than usual” or “The game only takes place at night”. Challenge mode is actually a great way to hone the survival skills learnt in the core game, and can provide a seriously nail-biting challenge on Iron Man difficulty. Ultimately, How to Survive won’t change the face of the games industry. What it does do, however, is provide a fresh new take on the zombie-genre by marrying solid twin-stick combat mechanics with RPG skill trees and a deep crafting system. Where other zombie games might shamble along lifelessly, How to Survive is still desperately sprinting to the chopper, and succeeding. How to Survive is a solid arcade/survival game, and one that displays a surprising amount of depth, despite its simplistic outer shell. You may not be excited at the prospect of a new zombie game, but How to Survive once again proves that there is still life in un-death. Woah this looks great. I’m glad I took a gander at this review.